Their first album, if you dont know, Goblin is an Italian band which has made a lot of albums from movies, "soundtracks", this is one of them. Im not going to lie, i have never seen that movie, but i found this album out, and well these are my thoughts. Maybe this could be an EP of another band, because the lenght is short, but i will start saying, that this is one of my favorite short albums ( 30 minutes or less), thats enough for make great and beautiful music. Until now, this album has 4 entries, 3 gave it 5 stars and one more 2 stars, but no review that i can read. This album is a beautiful symphonic album, great sound and good arrangements in every song, is one of that albums whch during each song, it is envolving us.One important thing, this is an instrumental album. The first song is called Profondo Rosso, plenty of organ and keyboards, one of that pieces which make the original sound of the band. Death Dies, i dont know, sounds a bit like some Focus passages, some jazzy sounds, great drums, and bass making the rythm, weel the bass is pretty good i think and it finishes with a softly heartbeat. Mad Puppet is the largest song of the album, it stars with some atmospherical sounds, like wind chimes with some drums everywhere, then a pause, and then, something very special, guitar and bass lines, but every time i listen to this, my mind thinks in Mike Oldfield, from 1: 40 to the end, we can hear something very similar to Mike Oldfield`s last part of Tubullar Bells Pt. 1, its good. Wild Session is another great movie song, the wind is always there, and quietly, some piano notes, beatufil, and suddenly the song is progressing, drums, bass , keys ,guitars and also a good Sax gather together to make a beautiful song, i think its my favorite of this album. Deep Shadows is another great song, good bass lines and some guitars which sound a bit like a western song. School at Night, a clear example of what a movie song is. And the last one is Gianna, the shortest of them all, an excellent finish for an excellent album! So well, iim not sure if this could be amasterpiece, but i really love it, and im doubting about the stars b ecause maybe this is too short to be a 5 star album, but it is definitely a masterpiece! Enjoy it! This is the soundtrack of my favourite Dario Argento's movie called Pronfondo Rosso (Red Blood), a fascinating giallo-gore-parapsychological thriller featuring the great David Hemmings in the main role. Profondo Rosso is also among the best releases from Goblin (with the ultimate classic Roller, the fantastic Suspiria and the creepy rockin'la via della droga). The music is totally evocative, revealing surreal, haunted ambiences, apparently innocent child like little musica and beautiful syncopated-jazzy sequences for sulfurous, intense moving themes. The opening piece is absolutely grandiose and weirdly sinister, including deep organ chords, efficient minimal guitar pics in a real moody atmosphere that can't be isolated from the film. Death dies is an energic, mysterious jazzy rock improvisation with ultra-technical dum parts, frightening piano / keyboard arrangements with nice groovy-funk touches. Really efficient. Wild Session is an other scary, dark jazzy improvisation with bizarre synth chords, syncopated drum / brass / piano ensemble and a solid bass section. Deep Shadow is an other great piece with an unique atmosphere mixing weird atmospheres with dissonant guitars and complex rhythms. School at night, you have to see the movie to appreciate this title because it appears to be out of place in a progressive rock record. The first Goblin's effort and almost all the ingredients that will make the success of the band are here. A really convincing album and a recommended introduction to Goblin's particular musical universe. One of the most important and unique bands around,regarding Italy of the 70's.The band strarted its career under the name ''Oliver'',centered around keyboardist Claudio Simonetti and guitarist Massimo Morante.They even travelled to England,where they played in the university circuit and recorded some sessions under E.L.P. 's collaborator Eddie Offord.After returning to Italy,they were renamed to GOBLIN and were offered a contract by Cinevox to record the soundtrack of Dario Argento's thriller movie ''Profondo rosso'' (Red blood).The album was ready in 1975 and obviously it reached the ears of foreign listeners too. The O.S.T. is reasonably based on the keyboards of Simonneti and the OLDFIELD-ian guitar work of Morante.Also bassist Fabio Pignatelli should have been a great fan of MIKE OLDFIELD,listening to his bass work again and again.The music ranges from moog- and organ-driven symphonic parts to jazzy interplays between piano,basses and drums,a few times accompanied by soft saxes.Parts of the album resemble straight to OLDFIELD's ''Tubular bells'' with haunting guitars,cosmic pianos and obscure synths,all in a complicated and progressive package.The expected dark breaks,led by light bass and classical piano and some distinctive effects,are also present,regarding the type of the movie.All in all,''Profondo rosso'' is an album of high-calibre and the disadvantage of the short time (only 30 minutes) is overblown by the professional musicianship.Strongly recommended for both progressive and soundtrack freaks! Profondo Rosso is the debut album by Italian progressive rock act Goblin. Goblin grew out of the Italian progressive rock bands Oliver and Cherry Five. 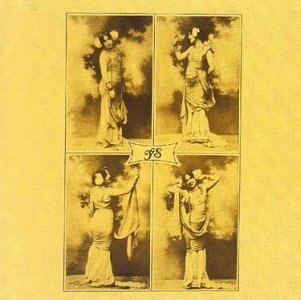 The latter released a self-titled English language debut album in 1975 which featured symphonic progressive rock influenced by bands like Yes and Genesis. The name Goblin was adopted after the band was offered to make music for the Giallo movie Profondo Rosso ( Deep Red) by famous/ infamous Italian director Dario Argento ( the band would make many soundtracks for Dario Argento´s movies from then on). The Italian Giallo movie genre was influenced by the crime fiction Giallo novels which was made famous in the late twenties and thirties. Their trademark yellow cover art has given name to the genre as Giallo means yellow in Italian. The Giallo movie genre had it´s heyday in the sixties and seventies. La ragazza che sapeva troppo ( The Girl Who Knew Too Much) from 1963 by director Mario Brava is widely considered to be the first Giallo movie. Other than Dario Argento and Mario Brava, Lucio Fulci is also considered one of the main characters in the Italian Giallo movie genre. All three directors are also considered to be very influential horror movie directors and sometimes the line between Giallo and slasher/ Horror is very thin. Many Giallo movies have extented and rather bizarre murder scenes in addition to lots of suspense and thriller elements. Profondo Rosso is no exception. Lots of bloody and inventive murder scenes which includes a decapitation as a result of a necklace being caught in an elevator ( you have to see the movie to picture the sophisticated and sadistic nature of that murder). The songs for the movie were composed by Goblin and Italian classical music composer Giorgio Gaslini. This version which is the original LP version only contains the seven songs that are composed and performed by Goblin. Giorgio Gaslini adds orchestration to a few parts though. There also exists a CD version from 1996 called Profondo Rosso - The Complete Edition which includes Giorgio Gaslini´s compositions as well. Even though the lineup in Goblin features three former members from Cherry Five in Massimo Morante ( guitars), Fabio Pignatelli (basses) and Claudio Simonetti (organ, piano, clavinet, Mini-Moog, strings) the music on Profondo Rosso is rather different from the Yes and Genesis influenced music on the Cherry Five album. The music on Profondo Rosso is fully instrumental and the atmosphere is tense and filled with suspense. Perfect thriller soundtrack music. Even though the music is clearly composed to be soundtrack music for a movie it´s definitely still progressive rock. In addition to the symphonic influences in the music there are also lots of fusion elements. Especially in the rythm section. The synths, organs and keyboards used in the music are really excellent and I especially enjoy the sections with Mini-Moog. They remind me a bit of Emerson, Lake and Palmer when they are best. The musicianship throughout the album is excellent. Great interplay and also great individual performances. The production is excellent as well. Pleasant and warm. Just the kind of soft seventies sound I enjoy. I was not impressed with Profondo Rosso after my first listen but it´s grown on me considerably and allthough it´s not a fully fledged masterpiece in my book it certainly deserves a 4 star rating. It might come in a bit short at 30:09 minutes but on the other hand there are no weak moments on the album and I will much rather spend half an hour with a flawless album than spend an hour with an album that has weak moments. I find Profondo Rosso to be an excellent and very recommendable album. OK, Goblin is important RPI band (I like RPI), they were releasing film soundtracks for horrors (I like both horrors and also soundtracks). Mad Puppet is really mad, reminding me one melody from old DOS game Wolfenstein 3d. Weird. Also, I have somehow extended copy with all these bonus and alternate tracks. It's really horrible, I've tried to listen tracks in order how it's intended to be (this one here on PA) and have to say that it's better. Not much, but it is. But these songs, they're simply horrible anyway. Sometimes, I can understand why anybody rate something so high, even I rate it low. But this time, I'm confused by what can people consider good about it. What's so good that I lack to understand, that I'm missing to discover, or to enjoy. 2(+) for not so good film soundtrack. I heard better. 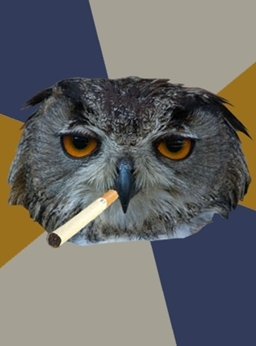 And as a jazz prog music, it's quite dull. I didn't see the film yet, but by description, it should be good. As music accompanying film, it would be maybe listenable, but as it stands alone, it fails at every line. Goblin were formed in Rome in 1974. The line up on their debut album, released in 1975, featured Massimo Morante (guitar, vocals), Claudio Simonetti (keyboards), Fabio Pignatelli (bass) and Walter Martino (drums, percussion) who replaced original drummer Carlo Bordini. All the members of the band had previously militated in other acts like Oliver, Il Ritratto di Dorian Gray and Seconda Generazione that never had the chance to record an album. 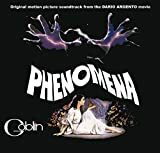 The turning point of Goblin's career was the meeting with film director Dario Argento who recruited them for the soundtrack of "Profondo rosso" (Deep Red), one of his most successful films. Murders, blood, mystery but also music and humour are some of the ingredients of this extraordinary thriller that tells the story of an English musician, Marcus Daly (interpreted by David Hemmings) who, after he witnessed the murder of a famous psychic, gets involved in the crime investigations teaming up with a female reporter. Actually, the soundtrack was initially commissioned to Italian jazz musician Giorgio Gaslini but he didn't fulfil his task (in that period he was involved in other projects) and the band managed to complete it with excellent results. The music perfectly fits the scenes on the screen adding tension and rhythm to dialogues and images. Both film and score were extremely successful and the name of the band became indelibly associated with this thriller and its strong colours. Both film and album begin with the notes of the dark and hypnotic title track, by far the best known Goblin's piece. The album is completely instrumental but images can be even stronger than words... If you haven't seen the film try to imagine a cradle tumbling down, a rag doll tortured with pins, some strange direful puppets, then marbles, knives and daggers, a single eye watching you... A face reflected in a pool of blood, deep red! "Sometimes what you really see and what you imagine mix up in your memory like a cocktail and you can't distinguish the different flavours anymore...". Last two tracks were composed by Giorgio Gaslini and feature orchestral arrangements. "School At Night" is a nursery rhyme that in the film is linked to the perverted mind of a serial killer. "Gianna" is light and romantic and in the film is associated to the character of female journalist Gianna Brizzi. A good way to conclude a 30 minutes ride on the edge of folly. 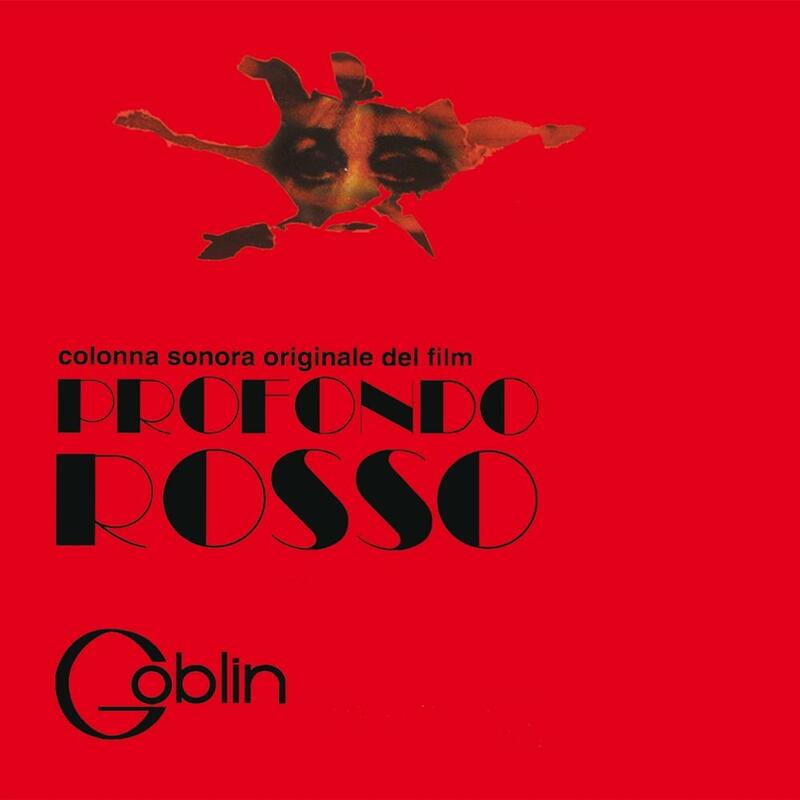 Goblin's debut album is a great soundtrack to a great movie by Dario Argento, but it is also a great RPI album. The music on this album is great Italian dark-funk prog. The title song is a classic in the RPI genre, and has been covered a few times. The organ in the song really sets the dark feel of the movie and the rest of this album. "Death Dies" sounds like an evil Herbie Hancock composition from his funk days. This song has a great funky bassline, jazzy piano, striking guitar playing that kind of reminds me of John McLaughlin from his Miles Davis days, and fast paced drumming that reminds me of Lenny White. This song is super enjoyable lounge music for super villains. "Mad Puppet" starts off with sounds that lead further into the darkness of the theme of murder and insanity, but ends with a cymbal crash. Then the funky guitar and bass play alone with some slight blues influences, and later are followed by some spacey and stark synthesizer arpeggios. Another great chillin' song. "Wild Session" starts with the sounds of windy fury and creepy musical box notes until about halfway through, which starts with a beautiful piano melody but the rest of the band comes in on heavy-rockin' mode. More horror-funk ensues, with some jazz sax added for good measure. This is one of my favorites because of its oddness and slightly avant feel while still managing to sound greatly jazzy. "Deep Shadows" is frantic in its confused sounding notes and strange noises, but it still backed by funky bass, as usual. This track is probably one of the most progressive on the album. Beautiful piano playing is added, and some great bass soloing through the middle of the track is very exciting. There is also a franticly played jazzy guitar solo near the end that is very entertaining, followed by a nice drum solo, and then the song ends with the same craziness it began with. "School at Night" is mostly a beautiful chamber orchestra arrangement, but comes off as creepy given the context of the album as a whole. "Gianna" is a very jazzy, dancelike and fun song that reminds me of Autumn. It's very beautiful and signifies the end of the murderous and funky journey through Profondo Rosso. I love Goblin; they're probably one of my favorite bands. They've got funk (I'm sure I've mentioned this more than enough times in this review and in my review of Suspiria) and they've got nice jazz chops. Claudio Simonetti is a great progressive composer and a master of soundtracks. My only problem is that this album is very short (only about 30 minutes), but it still manages to pack quite a musical punch. I highly recommend this to anyone who likes '70s jazz funk in their prog. Also, watch the movie. It's fantastic. Marking the point where the Italian prog scene collided with the Italian filmmaking market, Profondo Rosso is the first Goblin album and one of their better soundtrack works. The moods and musical styles adopted on the album are quite diverse, as befitting its origins as a movie soundtrack, with influences ranging from Tubular Bells (as on the opening of the title track, or the guitar section in Mad Puppet) to funkier material at points reminiscent of Curtis Mayfield's work on Superfly. Some where between these extremes the distinctive and original Goblin sound emerges, applying symphonic prog musicianship and compositional approaches to a more cinematic set of influences than those that informed the pastoral prog or fusion-leaning bands of the RPI scene. Note that Profondo Rosso has been reissued in various formats, including a greatly expanded release which includes more incidental music and multiple different takes of the same tracks. If you are a major fan of the Goblin sound and want to hear every little track they made during these sessions, you might want to go for it, but I personally find these editions rather repetitive and tedious to listen to all the way through. My appreciation for this album shot up when I simply programmed the CD to play only the original album tracks in the order they originally appeared on; on the whole, I'd say Goblin did a fine job in condensing the soundtrack for an LP release. GOBLIN was and still is one of the most unique bands ever to emerge from the 1970s Italian progressive rock scene and not only that but also has remained one of the most enduring and successful of the entire era due to their almost ubiquitous presence as composers for the fruitful Italian horror movie soundtrack scene. The band's origins date back to 1972 Rome when Claudio Simonetti (keyboards) and Massimo Moranto (guitars) started a band called Oliver with Fabio Pignatelli (bass) however the trio would go through a few lineup changes and emerge from the turbulence as the group Cherry Five which they would record one eponymously titled album that was released in 1975. 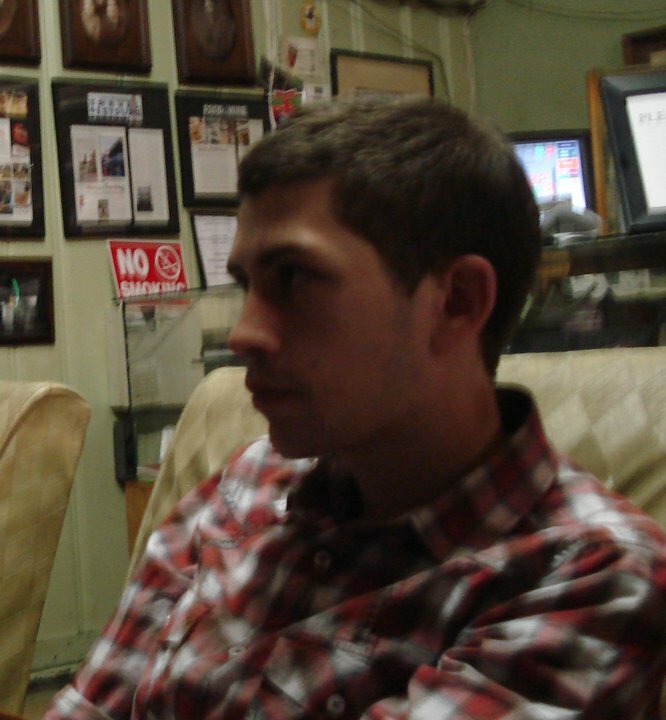 The band well could have continued under this moniker had it not been for fate intervening. The tale is an interesting one and all starts out when Italian film director, producer and screenwriter Dario Argento was crafting his project PROFONDO RUSSO (Deep Red), a horror film about a pianist who turns investigator concerning a series of murders executed by a mysterious miscreant who wears black leather gloves. So film noire. The original composer of choice was Italy's own jazz pianist, composer and conductor Giorgio Gaslini however Argento was unsatisfied with the composer's works in relation to the effect he desired that would fit in with his vision. After trying and failing to entice the super popular English band Pink Floyd to write the score, he turned his gaze back to his home land and that's when he discovered the likes of Cherry Five who would soon rename themselves GOBLIN and launched a very unusual career as they would become Italy's premiere horror flick soundtrack composers. The PROFUNDO RUSSO soundtrack is also unusual in that despite Gaslini having been sacked from the project still ended up receiving credit for the the entire score with GOBLIN listed as mere performers. Three of Gaslini's works were reworked by GOBLIN but the rest is a GOBLIN musical creation from start to finish. This faux pas has since been rectified after the initial releases. Gaslini is also listed as orchestral score and conductor on the original release. At this point in the GOBLIN world, the band consisted of four members: Massimo Morante (guitar), Claudio Simonetti (keyboards), Fabio Pignatelli (bass) and Water Martino (drums) who would soon be replaced by Agostino Marangolo who performed drums on "Death Dies" and would gain permanent membership into the club of all things GOBLIN. PROFONDO RUSSO established an overall sound and feel unlike any other and with the success of the film launched GOBLIN into the spotlight as one of Italy's most beloved soundtrack composers. 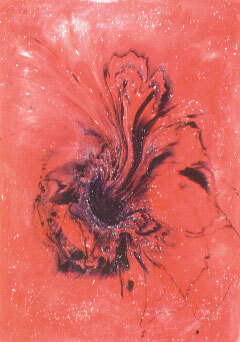 Sounding nothing like the previous Cherry Five that preceded, GOBLIN created a unique mix of progressive heavy rock in the vein of King Crimson mixed with elements of jazz, classical, blues and electronic keyboard wizardry. The tracks exuded an instantly addictive quality with repetitive keyboard arpeggios augmenting a rather simple extended blues scale with jazzy drumming and an extra stellar funky bass performance. 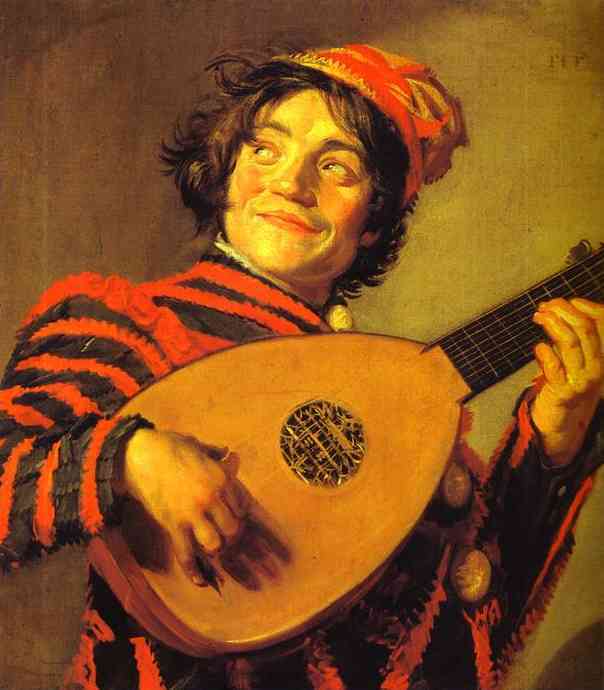 While the keyboards are more likely to provide an atmospheric presence, in the case of GOBLIN, they were the main actors while the guitar was implemented to create complex harmonic counterpoints over the overall melodic theme. The result of the unorthodox setting was that GOBLIN stood out like a sore thumb and found the perfect musical formula to launch their successful soundtrack album career. The album was totally instrumental and all the better for it since it evokes a creepy keyboard driven freneticism that creates a unique tension unlike anything experience in Anglocentric soundtracks which more often than not resort to classical constructs. GOBLIN perfectly concocted a jazzy rock driven funky groove that utilized both progressive rock and blues scales to get the job done. This soundtrack was only the beginning of a lengthy and lucrative career but GOBLIN scored a perfect sound accompaniment for a horror flick. While i have yet to experience these sounds in tandem with the flick it was designed for, as a stand alone series of tracks that evoke the emotional responses to the subject matter at hand, GOBLIN hit a home run in my book. PROFONDO RUSSO perfectly examples a more contemporary and sophisticated approach to eking out the desired dreadful shock and awe that the 70s was ushering in. A stroke of luck indeed that Argento chose GOBLIN but the luck was equally in Argento's court for having found them. BUYER BEWARE!!!! For those not overly familiar with this album, you may accidentally do exactly what did and that is purchase the re-recorded version of this album that goes under the moniker Claudio Simonetti's GOBLIN which was released in 2015. While i'm not complaining that i made this mistake, i was initially irritated beyond belief because the album cover is practically the same and the GOBLIN moniker stands proud with the tiny print of Claudio Simonetti above it. While it may seem obvious that it is a modern version, it is not obvious that only four tracks were re-recorded and four other tracks are remixes of other tracks with the title track appearing three times. A devious trick indeed although in this case both albums are excellent musical experiences. I dislike the misleading approach though so if you want to purchase the original version of this album, look very closely to make sure that it contains the original track listing and doesn't have the Simonetti name attached. 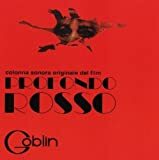 Post a review of GOBLIN "Profondo Rosso [Aka: Deep Red] (OST)"